Dr Arlie Loughnan joined the Faculty in 2007. She is a graduate of the University of Sydney (BA Hons 1 LLB Hons 1), New York University Law School (LLM) and London School of Economics (PhD). 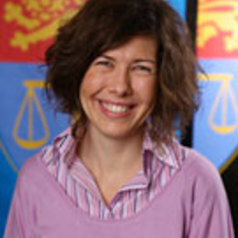 Arlie's research concerns criminal law and the criminal justice system, with a focus on the relationship between legal doctrines, practices, institutions and knowledge. Her particular interests are constructions of criminal responsibility and non-responsibility, the interaction of legal and expert medical knowledges and the historical development of the criminal law. Current projects include a co-authored text (with Mark Findlay and Thalia Anthony), Criminal Law and Process: Contexts and Problems (OUP, forthcoming).